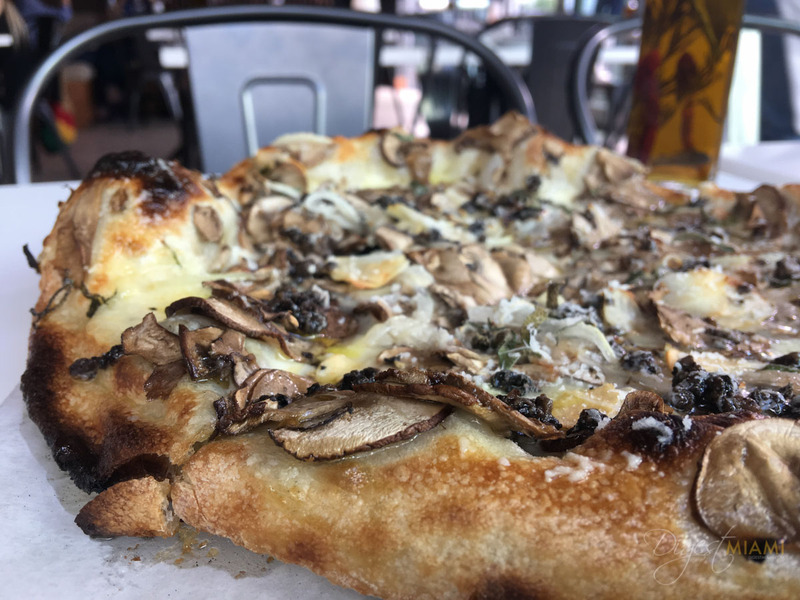 Spotting The Alley Pizzeria is like being on a treasure hunt in search of that off-the-beaten path culinary gem. Take a detour from Ocean Drive and you’ll find it nestled on an actual alleyway. 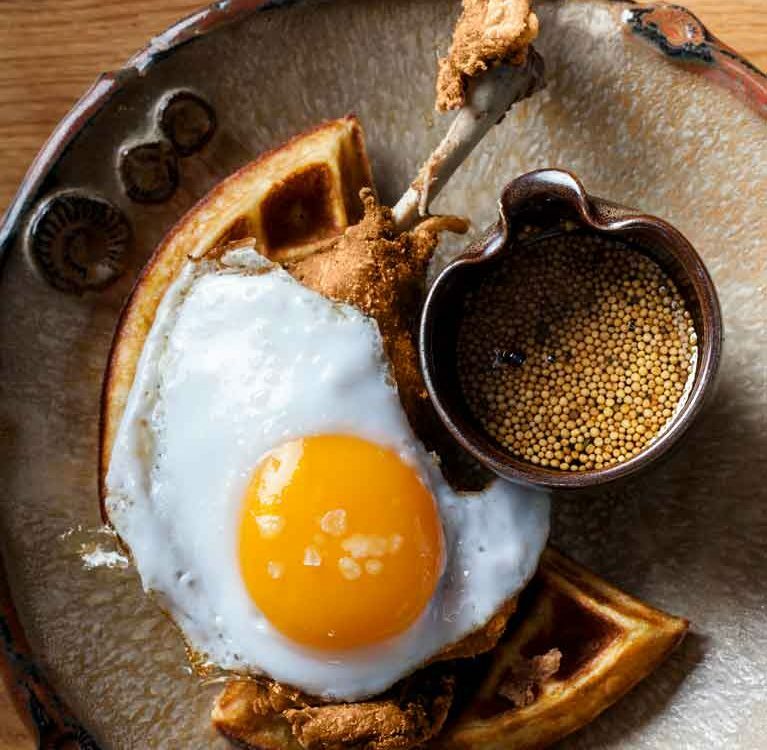 It is The Betsy’s second major concept in the hotel by Chef Laurent Tourondel and occupies a corner of the hotel’s recent expansion into the old Carlton. Like any treasure hunt, you’ll want to keep an eye out for notable landmarks; The Betsy Rail and The Betsy Orb. Shielding the exterior of the property is an elaborate wall that has been laser cut with literature from 13 iconic poets. As you approach, glance up and catch a giant egg-shaped dome which acts as a passageway for hotel guests. Inside The Alley there are just 36 seats surrounded by floor-to-ceiling windows that overlook the 14th Place breezeway. 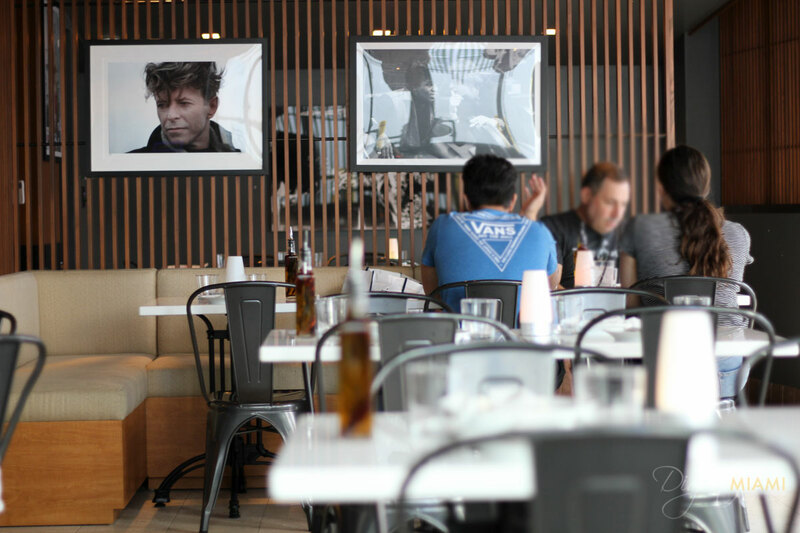 It’s a casual, yet chic vibe with new and vintage photos shot by former Beatles tour manager Bob Bonis and famed photographer Robert Zuckerman. 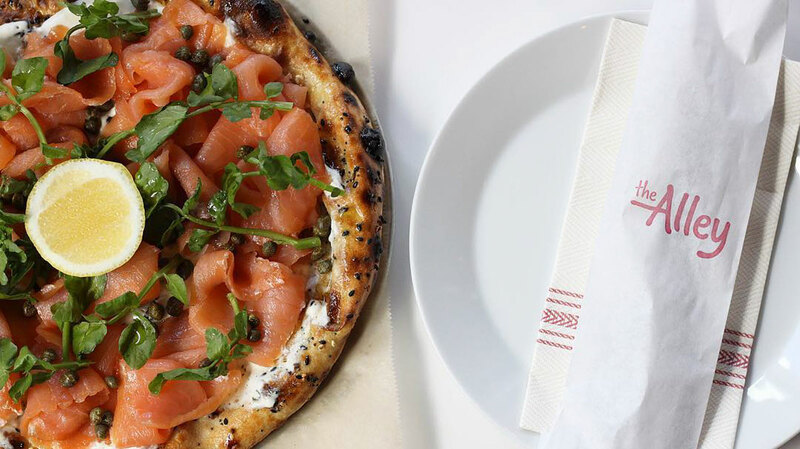 The Alley is recognized for serving some of Miami’s best artisanal pizza ($13+). 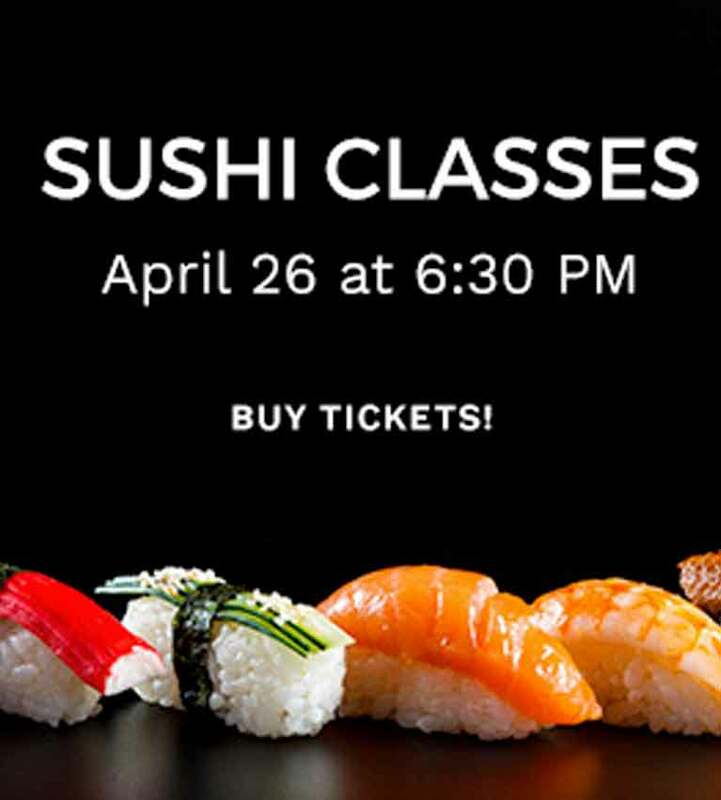 Two key reasons for that are their secret dough recipe and locally-sourced ingredients. The pizza dough is made fresh in-house daily using a special three-day process. Each pie is hand-tossed and pulled before it’s cooked in a pizza oven heated to 800 degrees. The same dough is used to prepare their garlic and rosemary focaccia, which is also baked-to-order and served with a whipped ricotta. The star of the menu is definitely the pizza; however, there are many other Italian-inspired dishes to choose for brunch, lunch and dinner. 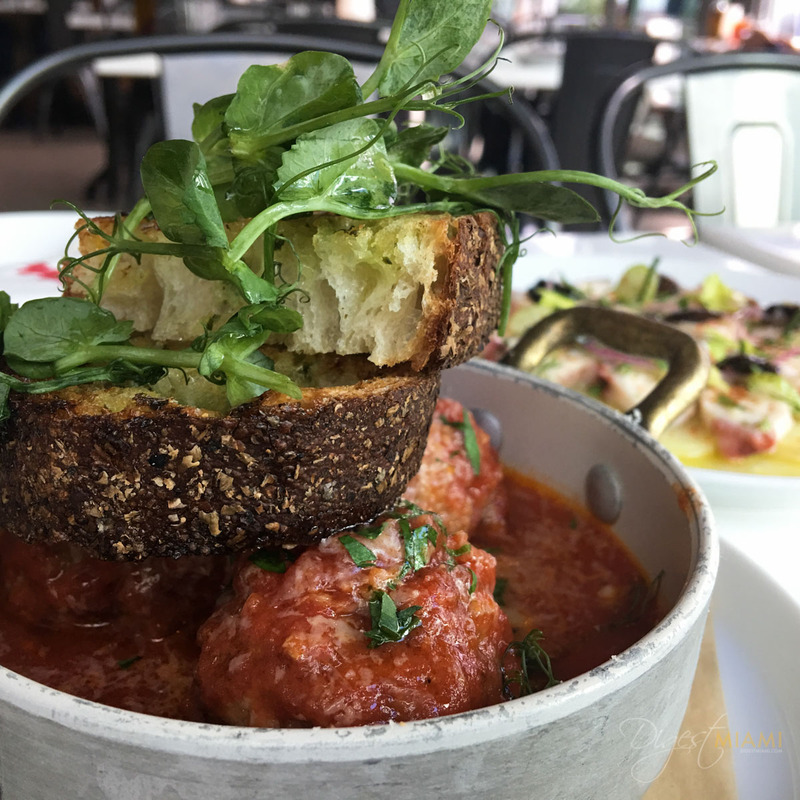 Not to be overlooked are the meatballs ($9)— a glorious combination of veal and mortadella braised in Pomodoro sauce and served with crusty, Tuscan-style bread. 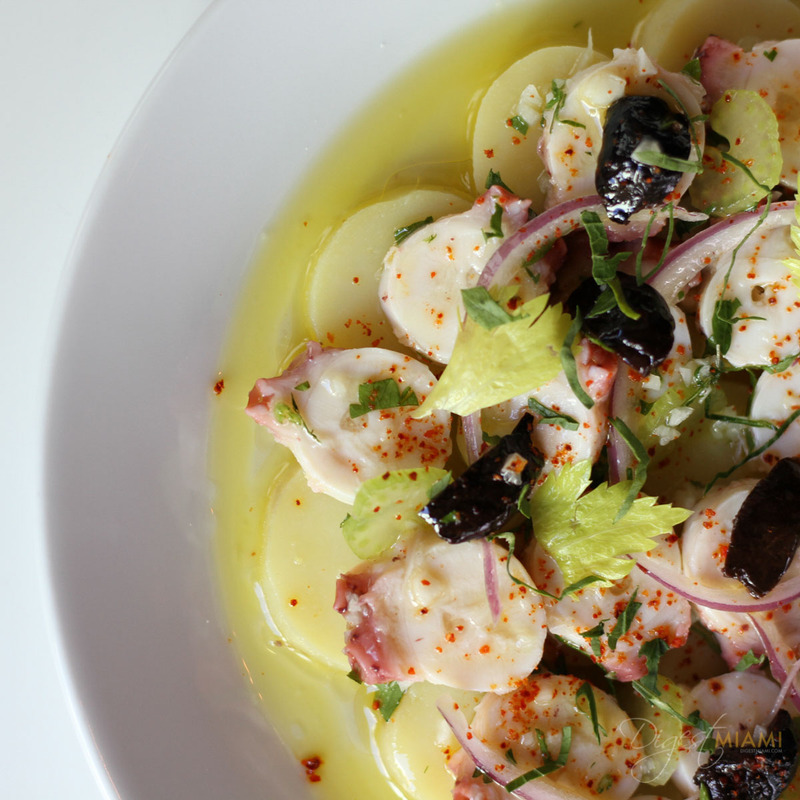 Another colorful option is the Octopus plated with thinly sliced fingerling potatoes, celery and cured olives ($11). 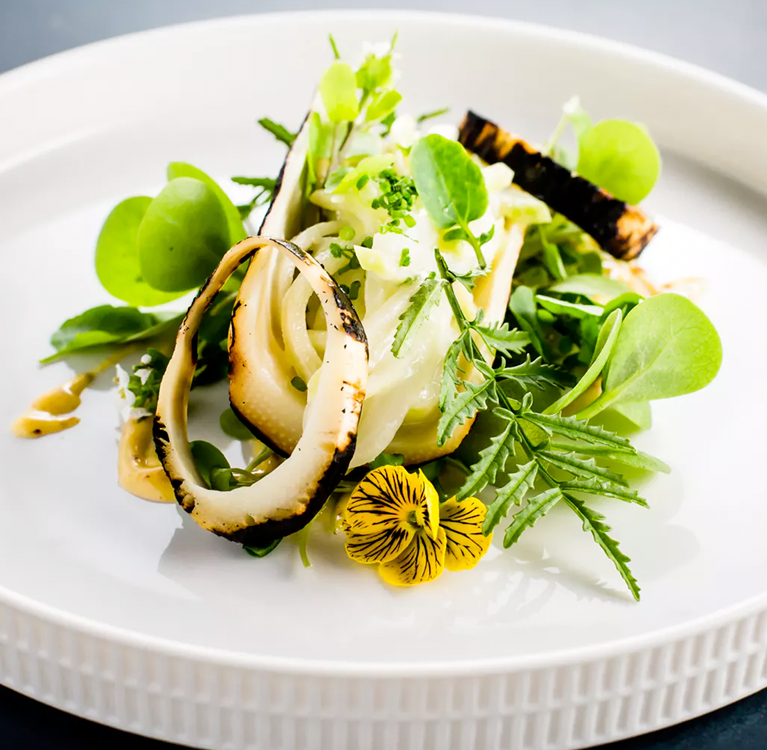 While The Alley Pizzeria is the brainchild of Chef Laurent Tourondel, Executive Chef Danny Ganem oversees the property’s two restaurants and works closely with Chef de Cuisine John Kreidich. 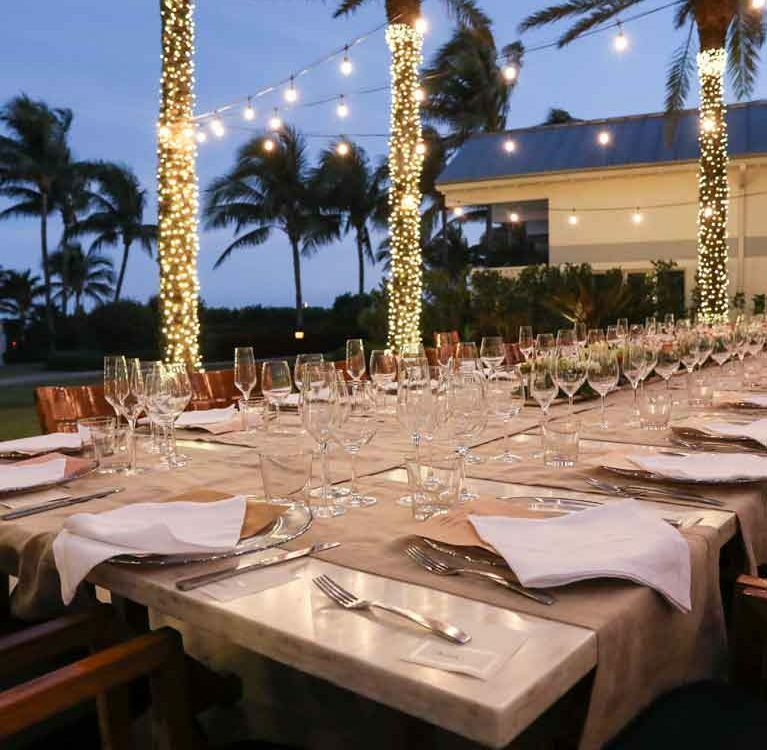 Ganem, a Miami native, has worked with renowned chefs including Michael Mina, Michael Schwartz and Norman van Aken. 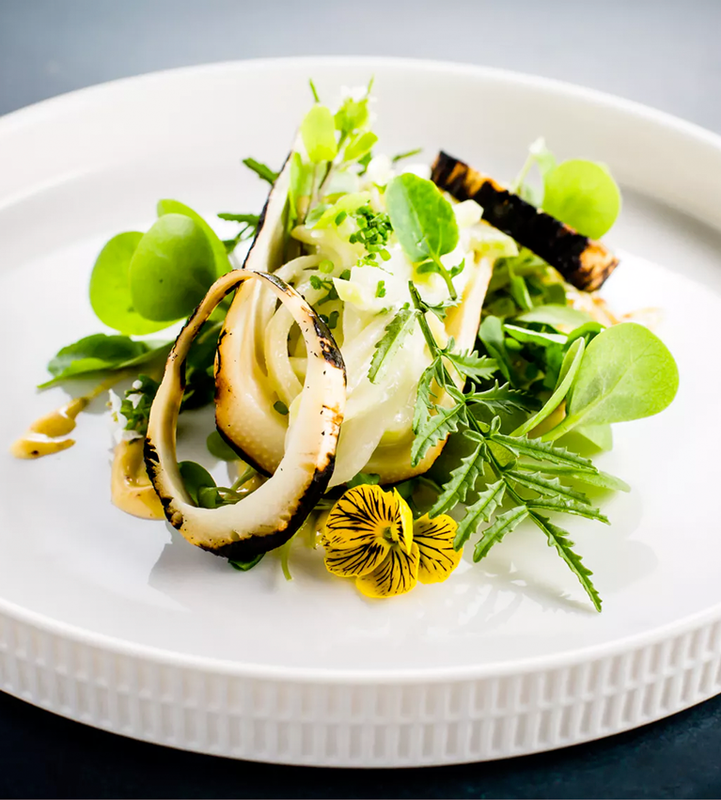 Kreidich is an Italian-New Yorker who has worked with Chef Andrew Carmelini since 2013 and assisted with his three latest restaurant openings. 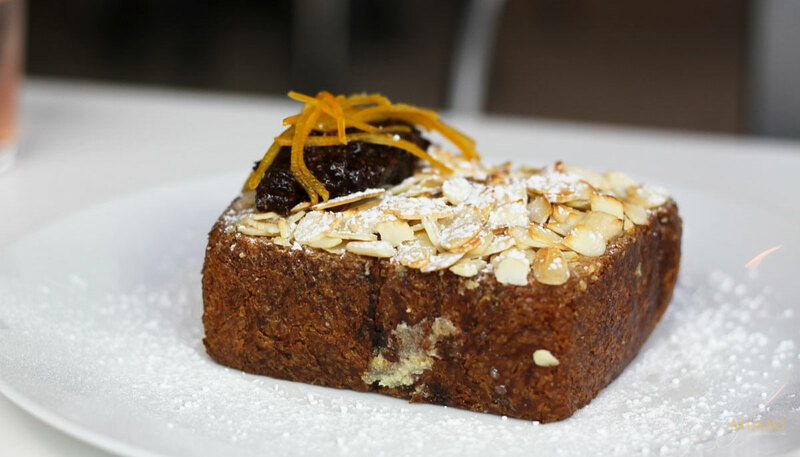 One example is the (not your average) Panettone French Toast ($9). Lightly toasted and doused with powdered sugar and toasted almonds, it’s served with a yummy bourbon-fig compote and drizzled with syrup. 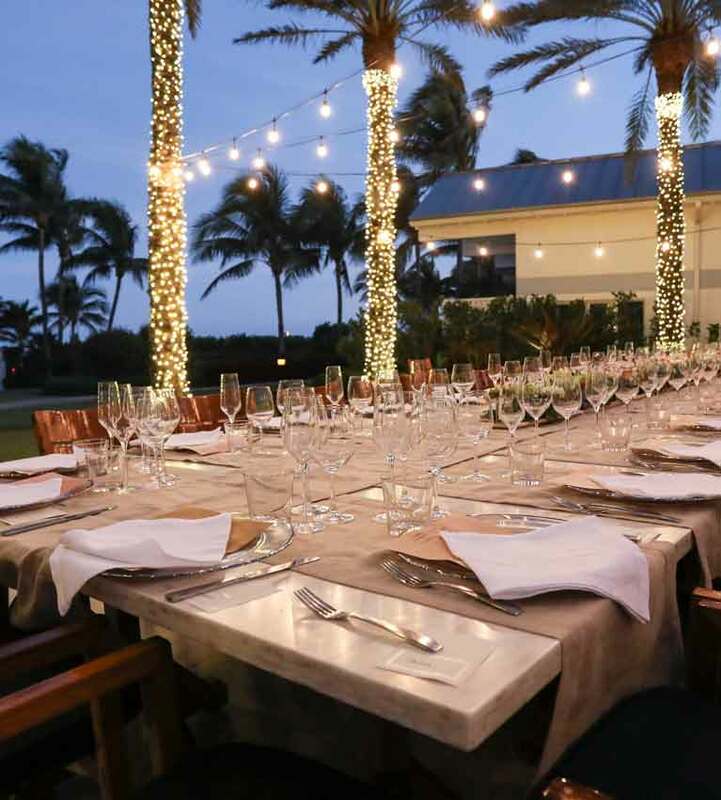 Consistent with its Italian theme, the beverage menu offers more than 30 Italian wines starting at $12 per glass and $45 for a bottle of Barbera. 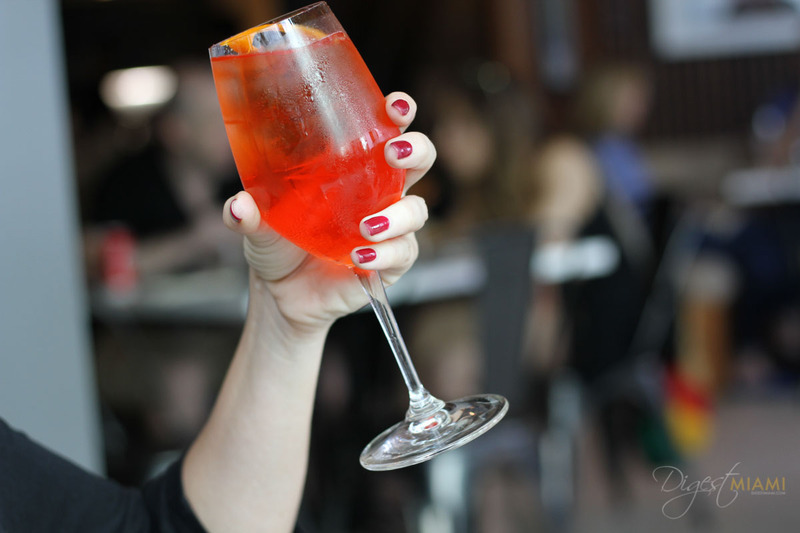 A special cocktail list puts a twist on classics with options such as the Rose Negroni ($12) — herbal gin, solerno blood orange and Cocchi Americano Rosa on ice. 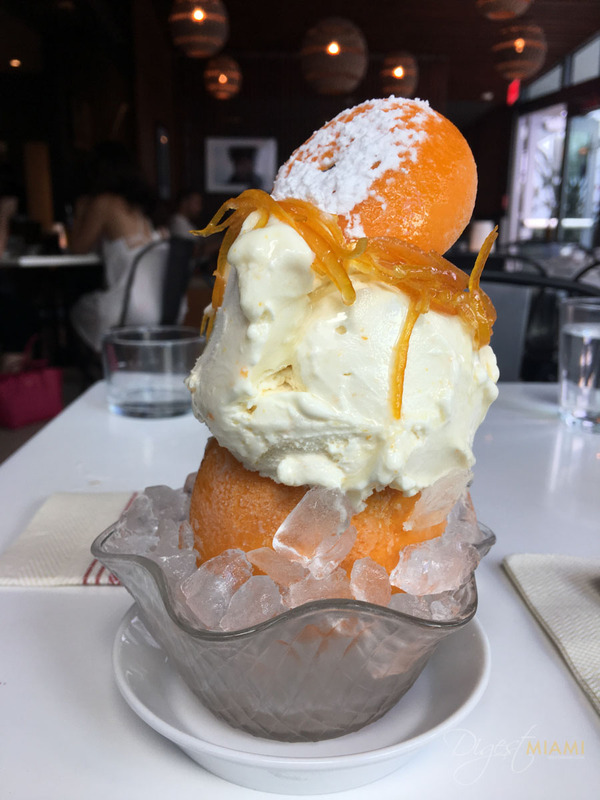 For those of you who loved orange-flavored Creamsicles as a kid, the Frozen Orange is an irresistible adult version. Skipping dessert is not an option at The Alley. All the desserts are worth trying, but there’s one showstopper. 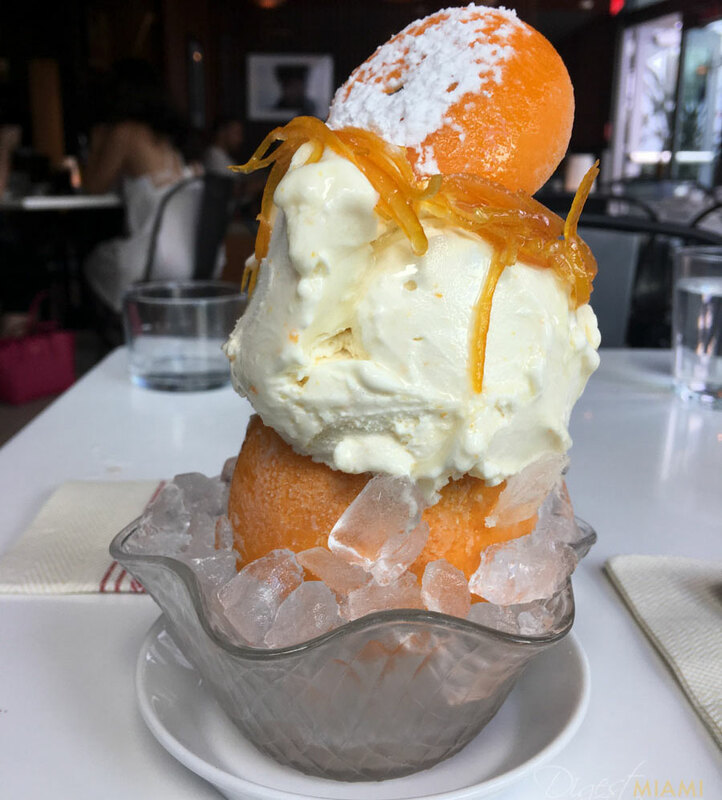 The Frozen Orange is a mound of creamy gelato mixed with candied orange and topped with more tangy slivers. 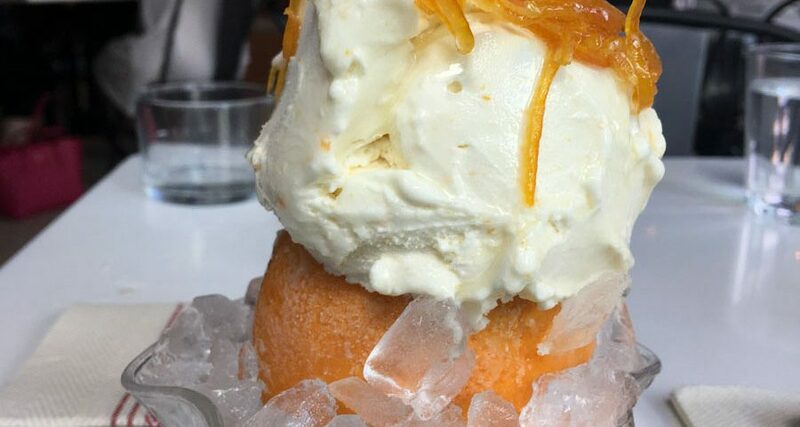 The trick here is to eat your way through all of the gelato to reach the fresh orange bits that sit in the bottom. 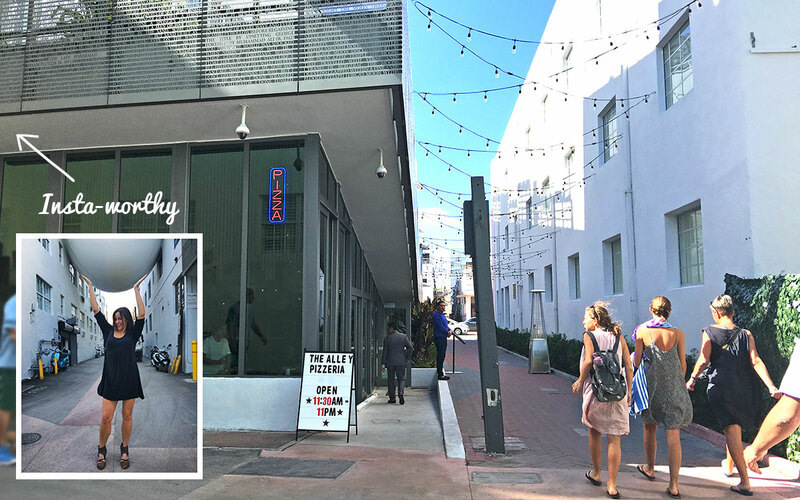 A charming treasure to be found, The Alley Pizzeria is a welcome surprise among the South Beach bustle. The Alley Pizzeria is open Sunday through Thursday 11:30AM - 10PM, Friday and Saturday 11:30AM - 11PM. 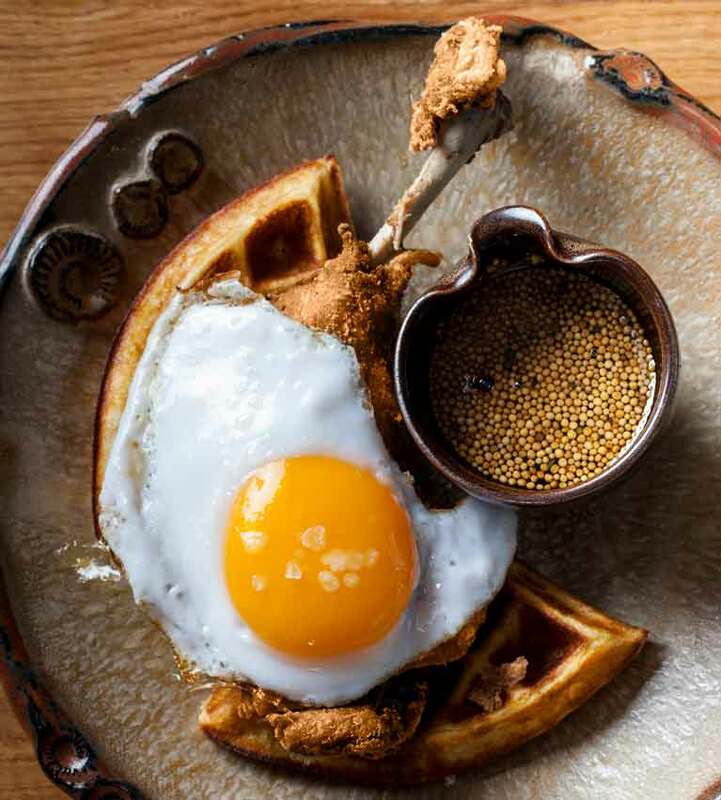 Brunch is served Saturday and Sunday from 11:30AM until 4PM.